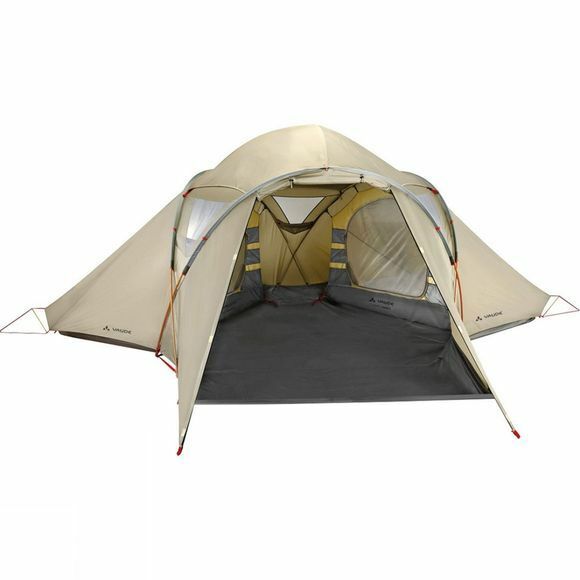 Vaude's Badawi 4P Tent has an innovative design with a spacious interior and excellent ventilation. The central ventilation dome helps maintain an ideal interior climate while the large mesh windows provide great lighting and foster efficient air circulation. A practical organizer compartment helps to keep life a little organised, and the footprint for the vestibule ensures that everyone keeps their feet dry. The spacious dome and tunnel design suits families and groups. 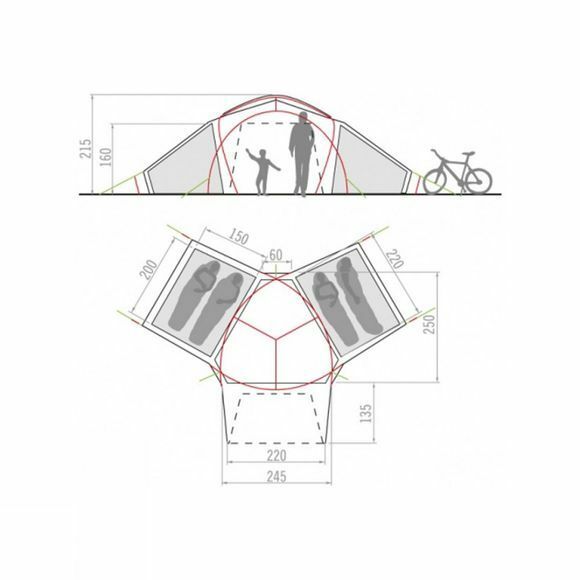 The domed anteroom provides lots of space while the tunnel design for the adjacent sleeping keeps the overall weight of the tent down.